Anna M. Jelinek (nee Gregorich), age 89, passed away peacefully at her home on Saturday, October 20, 2018 surrounded by her loving family. Anna is survived by her children, Joseph M. (Laurie) Jelinek, Cheryl (Donald) Mitok, Mary (Glenn Pouleson) Lohmar, David (Valerie) Jelinek, John (Terri) Jelinek, and Annette Jelinek; grandchildren, Emily (Greg) Kazak, Rachel (fiancé David Hershberger), Kyle (Gretta Patrick), Christopher (fianceé Morgan Luhman) and Lisa (fianceé Kris Kostusik) Jelinek, DJ Mitok, Erika Lohmar and Nicole (John) Kauzlaric; great-grandchildren, Mason and Madeline Kazak; step-grandchildren, Sabrina and Royce Pouleson, Heather (Jim) Yeager and Nikki Conti-Howell; step-greatgrandchildren, Al, Ava, Ben Beatty, Elsie and Izzy Yeager; and sister-in-law, Maryann (the late Dr. Carl) Gregorich; numerous nieces, nephews and cousins. Preceded in death by her husband, Joseph E. Jelinek (2007); parents, John and Jenny (nee Jurman) Gregorich; grandson, Andrew Joseph Mitok; siblings, Dr. Carl Gregorich, Father Edmund Gregory, Isabelle (Leo) Hauser, Leontine (Frank) Gibbs, Sister Jane Marie Gregorich, Joann (Albert) DiDomenic, MaeRose (Matthew) Lewicki and Gertrude (Edward) Kucinic. Anna was a member of KSKJ Lodge #29, CFU Lodge #18 and the Croatian Cultural Club. 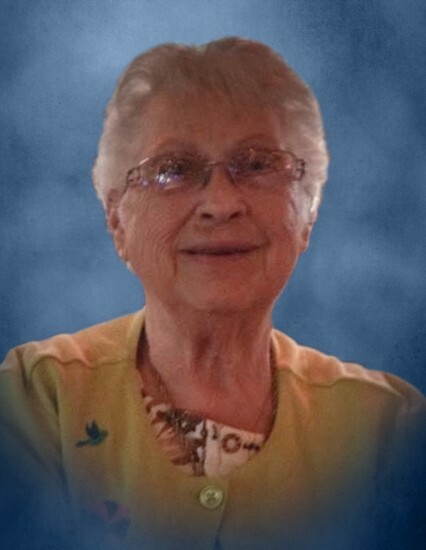 She was a devout Catholic and parishioner of St. Mary Nativity Catholic Church in Joliet. 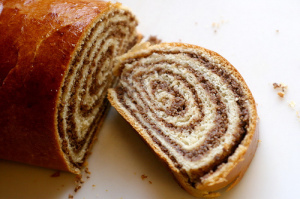 Anna was an expert at baking apple strudel and potica that everyone loved. She was an avid Chicago Cubs fan and greatly enjoyed watching them win the World Series. Anna found wonderful joy in caring for her family, from delightful phone conversations, to cooking for them, to lending a shoulder to lean on and an open ear. They meant the world to her and she was always there for them. Anna was also a very special aunt to many of her nieces and nephews. She will be dearly missed by all who knew her. The family would like to offer a special thank you to her caregivers, Laura A., Meaghan, Laura M. and Vee for the outstanding care they provided to Anna. In lieu of flowers, donations in Anna’s name to Joliet Area Community Hospice or charity of your choice would be appreciated. A celebration of Anna’s life will begin on Wednesday, October 24, 2018 with prayers in the funeral home chapel at 9:20 a.m. then driving in procession to St. Mary Nativity Catholic Church in Joliet for a Mass of Christian Burial to be held at 10:00 a.m. Interment to follow at St. Mary Nativity Cemetery in Crest Hill. Visitation will be on Tuesday, October 23, 2018 at Tezak Funeral Home, 1211 Plainfield Road, Joliet from 3:00 p.m. to 8:00 p.m.